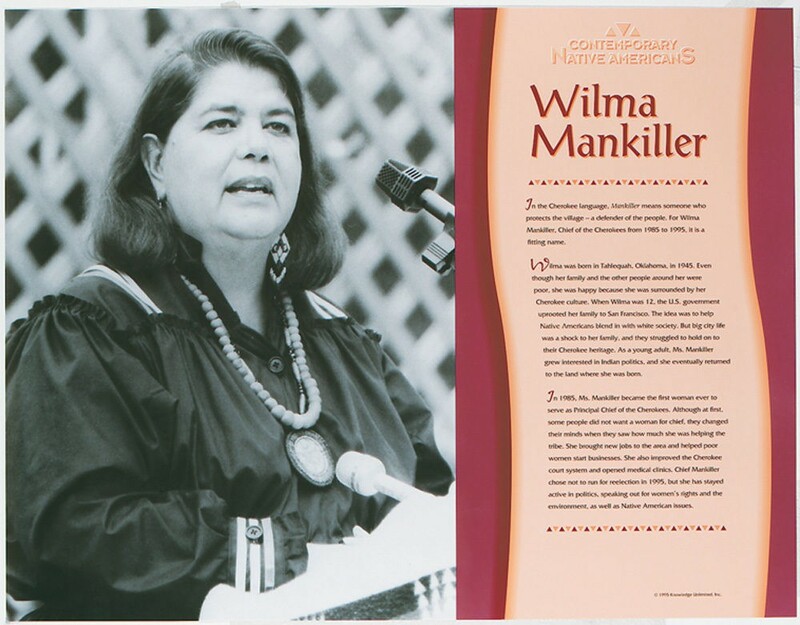 This educational poster of Native American leader Wilma Mankiller features a striking photo of her, as well as biographical text describing her life and accomplishments. 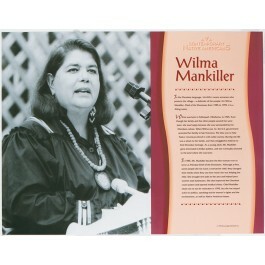 In 1985, Wilma Mankiller became the first woman ever to serve as Principal Chief of the Cherokee. Although she did not run for reelection in 1995, she remained an outspoken advocate for Native Americans, women's rights, and the environment.. She won the Presidential Medial of Freedom in 1998.